Don't worry, this isn't the start of me poking at my own comics for flaws. This is just for New Year's. 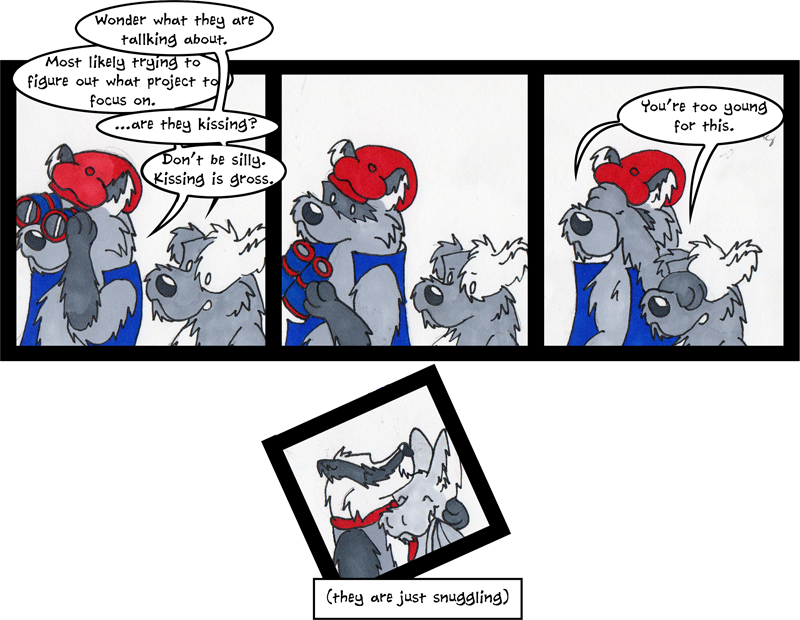 Part of the reason for starting this comic was getting all the odd humor and content out from the confines of my head. Part of the reason is I wanted to improve as an artist. If the comic is actually humorous...I'll leave that you you. As for the improvement part, that's gonna be a work in progress for a while. As it should be. I like getting the chance to draw these old and new characters, and attempt to give them a more solid design and form and...character. I am currently four months into this project and I still have a long way to go. With this new year, I hope this comic will keep developing. Not only because its a theme of some of the comic plots, but because I want to make it better for you, the readers. I want to improve the humor, the art, and, in turn, the reading experience. Best of luck with all your New Year's Resolutions and thanks again for reading Loose Ferrets.